Tagged as 1984 Honda XL200, Honda, Manual. 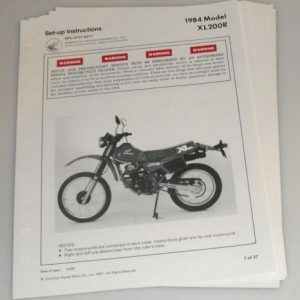 Original Honda set-up instructions. 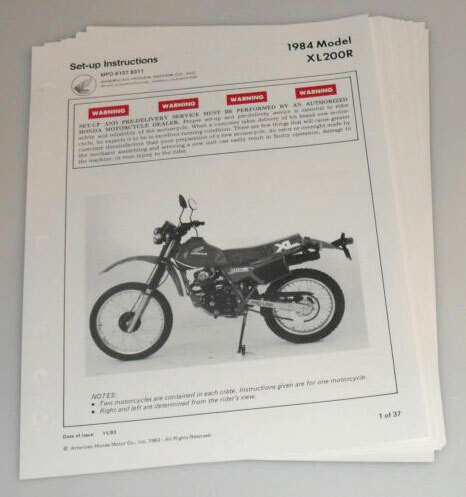 These were sent to the Honda dealerships for instruction on un-crating bikes after delivery. Lots of cool photos, part numbers and more. The pages are not yellowed. No damage to any of the 37 total pages.